Dynamic Balance™﻿ which is a 90 Day Home Learning Program. 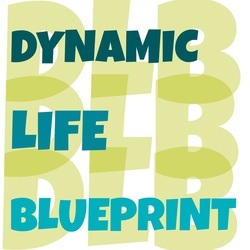 Where I teach the framework called the Dynamic Life Blueprint. What else do you need to know about Dynamic Balance™? How it works: there are 3 Phases to this program, each phase moves you through a set of learning objectives and outcomes to ensure dynamic goal setting. What happens in each phase you ask?! You need to know where you're at to know where you're going and how to get there. evaluate you’ll continue to do to the same things and get the same results. I'll teach you how and lead you along with ease. Having delved into your satisfaction it's time to evaluate your wants, needs and priorities. That may sound easy but learning to do it quickly and effectively takes practice and constant re-evaluation. so your limitations, boundaries or false truths don’t get in the way is vital. Option 1: Save $500 and get this program for only $997! Option 2: Bring a friend and split the cost then go through it together!